The Enugu State Police Command on Tuesday cautioned residents of the State against spreading any rumour capable of jeopardizing existing peace in the Coal City State. The warning followed claims by some Muslim faithful in Igbo-Eze North Council Area of the State that their mosque was set ablaze by members of the Indigenous People of Biafra, IPOB. DAILY POST reports that the mosque located at Ogrute, the council headquarters was engulfed by fire early Saturday morning. 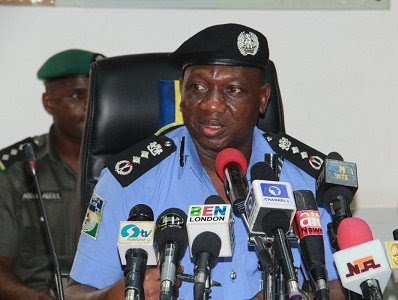 However, spokesman of the Enugu Police Command, SP Ebere Amaraizu said contrary to claims, preliminary investigation showed that power surge was responsible for the inferno. According to Amaraizu, “the issue is that there was an incident and that incident involved inferno. “When we first head it, we moved in with a view to finding out what actually happened. It was at the wee hours. "When we got there, following our preliminary investigation, we discovered that it could have been as a result of power issues. “The following morning, we started hearing all sorts of things. We need to put things in proper perspective to avoid mixing up issues. “When there is burning, we will say there is burning, when there is inferno, we will say there is inferno. So, we want to draw a line between an inferno and burning a particular place. An inferno is not intentional, while burning is intentional. When asked why the Muslim faithful linked the incident to the IPOB, Amaraizu added that “it is just like in Igbo land, anybody that dies, people will begin to blame one thing or the other, even if the person died a natural death. He, therefore, cautioned rumour mongers to “consider the stattus of the nation; they should look at the nation as one; they should cross-check their facts before saying something. “One adage says look before you leap. Hate speech borders on what is not verifiable. Before we speak, we should be able to say this is the fact we have.